This is a presentation of new evidence and insights I think anyone with an interest in Mediterranean prehistory should be aware of. Hopefully it will help to save lives in the future and bring greater clarity to this pivotal period in human civilization. In the summer of 2014 I had a long discussion with a well-known Santorini volcanologist whose resistance to the idea of a titanic super-heated blast(s) of steam over the surface of the sea from the colossal Aegean marine volcano as the cause of the "Late Minoan IB Destruction Horizon" on Crete has been in serious decline since the collapse of the decades old tsunami hypothesis (Baird, 2011). During our talk I said something to the effect that "perhaps Zeus blew a hot wind of fire on Crete during the eruption" and he responded by saying "Evidence... all we need is evidence". 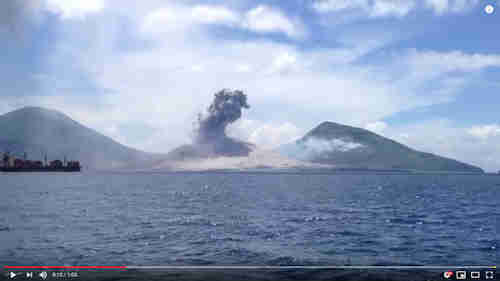 A few weeks later a small miracle occurred when on August 29th, 2014 an amateur video was taken of a volcanic supersonic (it produced a sonic boom) super-heated steam explosion caused by the magmatic heating of water at the tiny Mt. Tavurvur volcano near Rabaul, on the island of New Britain, in Papua New Guinea. This video is undeniable, definitive proof that volcanic material and gases (primarily steam) can be explosively ejected at velocities exceeding the speed of sound - 1,225 km/h (761 mph). I didn't become aware of this video until January 2015 but I immediately recognized it for what it was and soon obtained confirmation from the Icelandic volcanologist Haraldur Sigurdsson to backup my interpretation. It doesn't take a lot of imagination to see this blast redirected laterally over the surface of the water and scaled up many thousands of times to match the size of the great volcanic monster Santorini in order to envision what may have happened on Minoan Crete during the eruption. The magnitude of these magmatic steam blasts is limited only by the amount of fuel (water/steam - hydrogen and oxygen) available. If this little blast was directed at the camera person's boat everyone there would have been instantly set ablaze as "soon to die" living torches from the ~2,000°F dry steam. 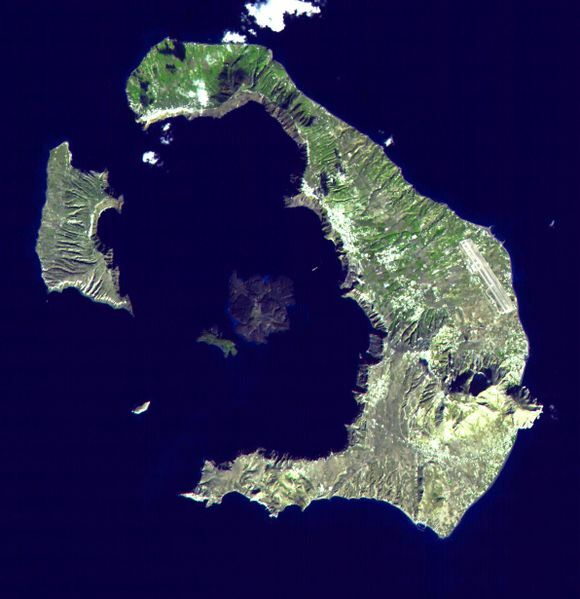 The Santorini volcano is so massive that if it produced just one of these large (a single cubic kilometer of seawater will produce about 1,600 cubic kilometers of steam) surface-hugging steam jets towards Minoan Crete it would have incinerated every living thing it touched including perhaps many tens of thousands of people on the island. At Mach 1.0 it would have reached the northern coast of Crete in a little under six minutes. As a very young child I happened to see an animation of how in a matter of seconds in 1902 some 30,000 people in Saint Pierre on Martinique in the Caribbean were instantly enveloped in flames from a surface-hugging high-speed (over 400 mph) blast of ~1100°C (2000°F) dry steam from the quite small (when compared to Santorini) Mt. 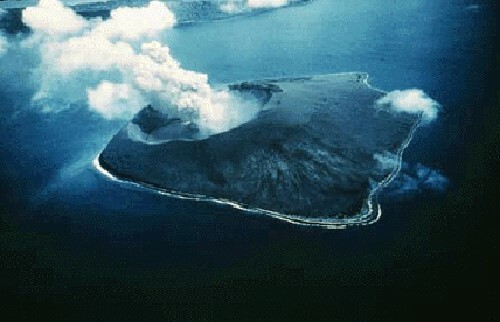 Pelee volcano. 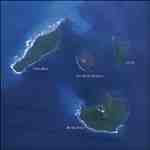 This nearly depopulated the northern part of the island. For a time as a child I had recurring nightmares from this horrible vision. With this in mind it was decided to produce a report to fully inform the archaeologists, etc. and public of the current state of volcanology's understanding of the hazards and risks to humanity from this phenomenon. With an array of information derived from a multitude of sources I then contacted the leading Santorini volcanologist Steve Sparks of the University of Bristol in England in February in an attempt to confirm my suspicions that no experimentation had "ever" been designed or conducted to better understand these steam explosions and nothing definitive had "ever" been published to accurately and comprehensively describe the hazards/risks from another eruption of Santorini or any of the other volcanoes around the world capable of producing these blasts of burning steam. I had come to suspect this because never at any time had any expert presented me with an argument based on real evidence to invalidate the viability of the 2007 Minoan pyroclastic surge theory. All I've ever heard were assumptions of knowledge devoid of logical encapsulations of evidence. They were all simply intuitive preconceptions only. This is what myths are made of! After presenting Mr. Sparks with the supersonic steam blast video his initial response was "short violent bursts of this kind with shocks are quite common. They are intense but not usually threatening unless one is very close to the volcano", but when I pressed him on what experiments had been performed to develop evidence on this phenomenon his response was silence. Therefore his statement was nothing more than an unfounded assumption without any confirmable evidence, eyewitness or otherwise, to support it. With this I was able to confirm that as I suspected, up to that point, absolutely no experimentation of any kind had ever been performed on volcanic steam explosions. Importantly, in this case, no experimentation equates to no knowledge. This is volcanology's great blind spot or "black hole of unknowns". So when Mr. Sparks informed me that the first serious attempt at assessing the hazards/risks associated with future eruptions of the Santorini volcano was currently being reviewed for publication by the Journal of Applied Volcanology I was incredulous. Baseless opinion is not the way of science. "After discussing this with you and other experts over the past several months we are certain that any assessment by Bristol or INGV Pisa of the hazards and risks associated with a future eruption of the Santorini volcano, or any of the other marine volcanoes around the world, is deeply flawed and therefore lethally misleading. I'm going to try my best to say this with as much clarity as I possibly can. We are convinced the true nature and incredible explosivity of water/steam has been "severely and grossly" underestimated by the experts. There seems to be no comprehension by the volcanologists that the basic ingredients of water/steam (hydrogen and oxygen) are highly explosive rocket fuels. The extent of the reach and lethality of large laterally directed supersonic blasts or jets of volcanic super-heated dry steam traveling over the surface of the land and/or sea is currently a "black hole of unknowns" in volcanology. Very simply, this is because no objectively obtained data/evidence has ever been derived through experimentation based on an accurately scaled-down series of simulations of this volcanic phenomenon. In this case, no experimentation equates to no knowledge and unfounded or weakly founded preconceptions or assumptions of absolute knowledge can put many thousands of people at risk of an unnecessary premature fiery death in the future." I think these assumptions can probably best be explained by the common intuitive perception of water as a benign substance we drink and bathe in. But any objective analysis of the chemistry of water reveals it to be composed of two of the most explosive elements in nature - hydrogen and oxygen. They are very well understood to be the components of highly volatile rocket fuels. For example, the catastrophic destruction of the containment buildings at the Fukushima nuclear power plant in Japan's March 2011 disaster was caused by explosions of hydrogen that came into contact with air. 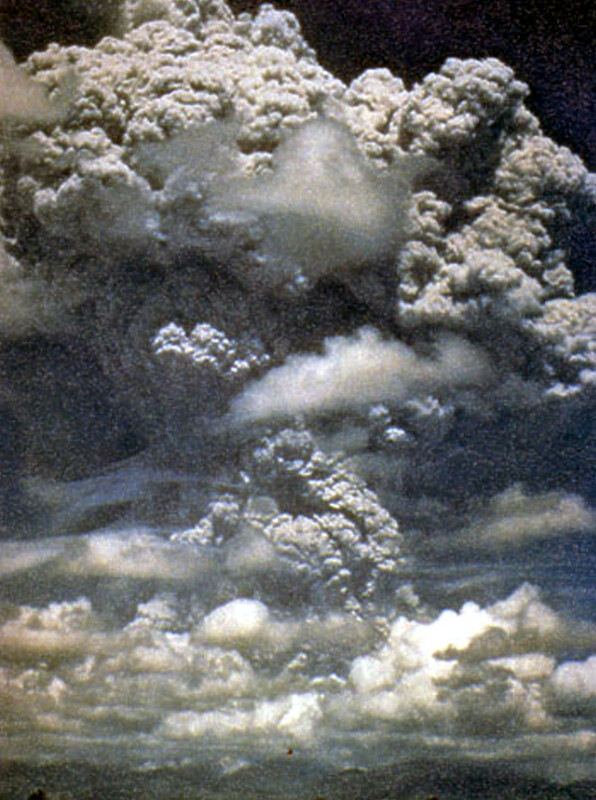 Also, there is the insightful statement made by a colleague last February, "Realize that since one would have little chance surviving such a blast, and that evidence of such a blast would be temporal and poorly preserved in the geologic record, it is hard for we volcanologists to either be an eyewitness or find field criteria to identify the phenomena." In an effort to be as fair to Mr. Sparks and his colleagues as possible we decided to give them all the time they needed to assimilate the Mt. Tavurvur evidence, etc. and hopefully amend the article under peer review by the Journal of Applied Volcanology to include, at least, some mention of blasts of steam as the significant threat to human life they are. This would protect them from the inevitable criticism they would eventually receive if steam was completely omitted from their hazard assessment. Several weeks later in April I again contacted Steve to inquire about the status of the publication as well as describing the most important experiments that we thought essential to more fully understand the workings of this phenomenon. I also informed him of the best idea so far devised that would offer the highest probability of detecting and recovering the particles from Santorini (caves with north facing openings) that would surely have been contained in any titanic steam bloom that may have struck Minoan Crete during the eruption. "I hope you understand what I'm trying to do here. I would love to present as much "good news" as I can to my colleagues regarding what is being done to effectively address this matter. This is completely up to you and the others. I believe I know of one way to do this using existing knowledge but first I have a few questions. Has the Santorini future Hazards/Risk Assessment report been withdrawn for amendment from the second stage of review by the Journal of Applied Volcanology? 1. the underwater mixing through cracks and fissures at the magma/seawater interface during severe seismic activity. 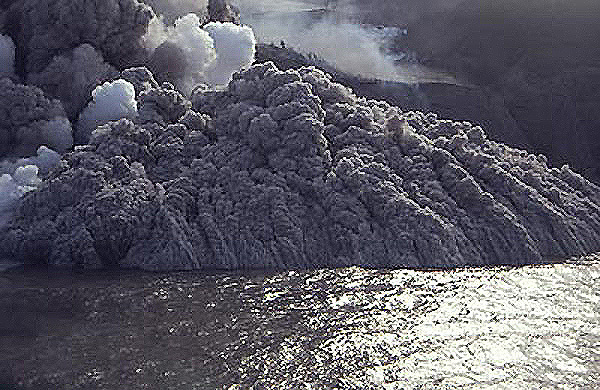 2. the characteristics of the theoretical "pot lid" or "teapot lid" effect in producing horizontal supersonic steam blasts over the surface of the sea from a rising magma column constantly losing huge quantities of mass from its crown to the atmosphere (in the case of marine volcanoes). 3. beginning the acquisition of data on the exchange of heat from a chemical explosion of super-heated steam over the surface of the sea (or even a conventional gravity powered pyroclastic flow) and the much colder water. I've been told literally nothing is known about this which is critical to eventually enabling a decent computer model to be generated. 4. their true supersonic speed capabilities, range, and spread over the sea. 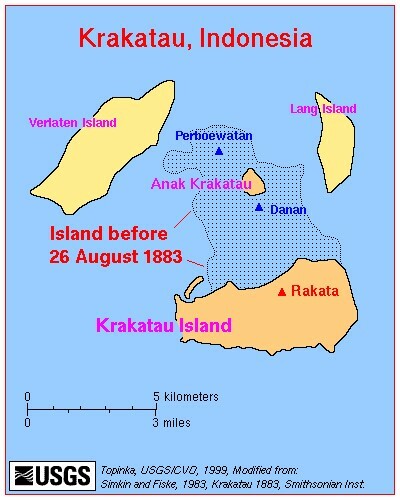 We know from the hurricane winds that enveloped the American trading vessel W. H. Besse with volcanic ash at a distance of 80 kilometers (49 miles) from the Krakatoa eruption in 1883 that they have a range that can extend at least this far. It's important to keep in mind that the Krakatoa marine volcano is much smaller than Santorini. Google Earth is a good way to directly compare them. 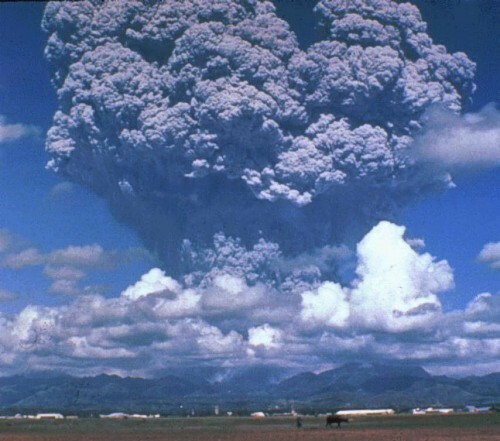 While experimentation is absolutely required to gain the data/evidence necessary to understand the properties of this phenomenon we are unanimous in thinking that the only way to definitively prove the extent of their destructiveness is to search for the uniquely identifiable ash particles contained in a long-runout steam jet from past occurrences. We can think of no better place to look than on Crete. 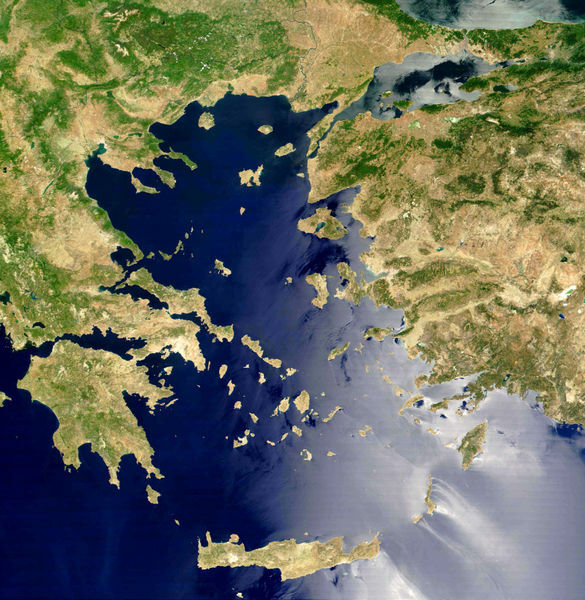 At this point, we believe it's "very" probable that a large supersonic steam bloom struck Minoan Crete during the Bronze Age Santorini eruption causing the Late Minoan IB Destruction Horizon in central and eastern Crete. This fiery destruction has never been explained by science and the super-heated steam bloom is the only remaining volcanic effect that hasn't been thoroughly invalidated as a possible cause. Therefore here we, seemingly, have two perfectly chronologically synchronous "black holes of unknowns". The implications of this should not be underestimated or ignored. With this in mind, we formally request that the very best expert(s) you know present us with as precise of a specification as possible for the ash particles theoretically contained in a steam bloom that could have reached Minoan Crete from Santorini. I mentioned a little of this to you before - the surface-hugging steam bloom should have supersonically dusted the interiors of caves (Crete has many) with northern facing openings accompanied by a pulse of very high temperature. These particles should still be detectable in an environment removed from normal erosional effects (in stalagmites, etc.)." I have to say it's very well done for the topics it addresses and clearly qualifies its scope as to the types of eruptions covered, etc. It makes no attempt to accurately describe the hazards of the great Minoan eruption which is something that has been badly needed by the archaeologists for decades. All the students named as co-authors should be very proud of their efforts but sadly the publication is deeply flawed by what it omits. How any qualified group of scientists could assume the only volcanic gas of concern was sulfur dioxide completely eludes me. It seems they were looking at the volcano as if it was located high and dry in the middle of the Sahara desert because it blindly disregards and leaves totally unconsidered the existence of the "wine dark" waters of the Aegean sea which the Santorini caldera is thoroughly immersed in. 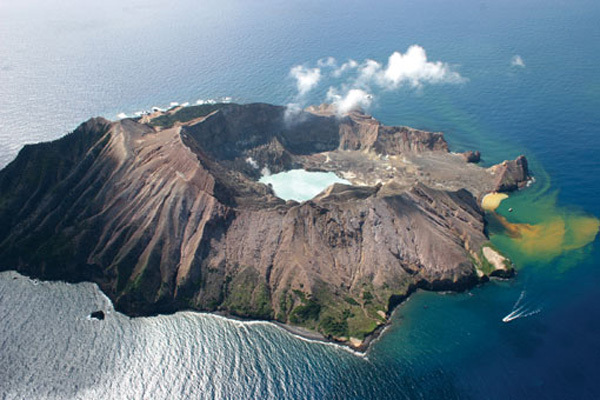 How is it possible that these very smart scholars from some of the finest universities in the world could compose an article on the future hazards of a massive marine volcano like Santorini and not consider what happens when hot magma and water violently mix during an eruption? Yet, despite my patient efforts this article contains absolutely no mention of steam at all! The only gas considered in this paper is the pollutant sulfur dioxide. The closest they come to mentioning steam is on page 6, "the release of volcanic gas from the vent and as lava enters the sea (Fytikas et al, 1990)". I wonder what gas they think is created when lava enters the sea? Perhaps it would be instructive for everyone involved with this article to conduct one of the simplest experiments they have "never" performed and gather round a pot of water while a sizable lump of 2000°F magma is gently dropped into it. If steam explosions are unworthy of consideration as a hazard to humanity in their article I wonder how close Mr. Sparks and his associates would be standing to the pot and how quickly they would turn and run screaming for their lives when the incredible steam explosion that would surely occur erupted from it? If anyone doubts this give it a try but be sure you are well protected. Perhaps we all should be thankful to Mr. Sparks, his colleagues, the reviewers, and the Journal of Applied Volcanology for so clearly demonstrating just how prevalent these highly erroneous, blind assumptions regarding the volcanic hazards/risks to humanity from 2000°F dry steam are among many of the current crop of volcanologists. Just as the Mt. Tavurvur video provides undeniable, definitive proof for the existence of volcanic supersonic super-heated steam explosions their hazard assessment article is undeniable, definitive proof of the true extent and magnitude of the vast "black hole of unknowns" that lurks within the science of volcanology. There are volcanologists that can see this as clearly as I do. I can only hope though few in numbers they will begin the work to fill this black hole with the bright light of knowledge it so badly needs. This is the current state of things but whatever the difficulties may be humanity and especially a consensus of the volcanologists must eventually come to fully realize the phenomenon of titanic surface-hugging supersonic steam blasts as the "volcanic weapon of mass destruction (VWMD)" it is, perhaps the greatest of them all. By far, the most important consideration in this matter is to work toward finding ways of better protecting humanity from the inevitable future repetition of Mt. 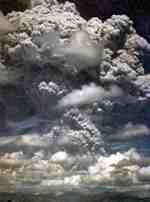 Pelee-like events of mass lethality with their burning volcanic steam blasts. The last time I looked the current population of Crete was about 600,000. If a titanic supersonic steam jet from Santorini really did strike Minoan Crete during the Bronze Age and it occurred again in the present possibly hundreds of thousands of people would be burned to death on Crete. 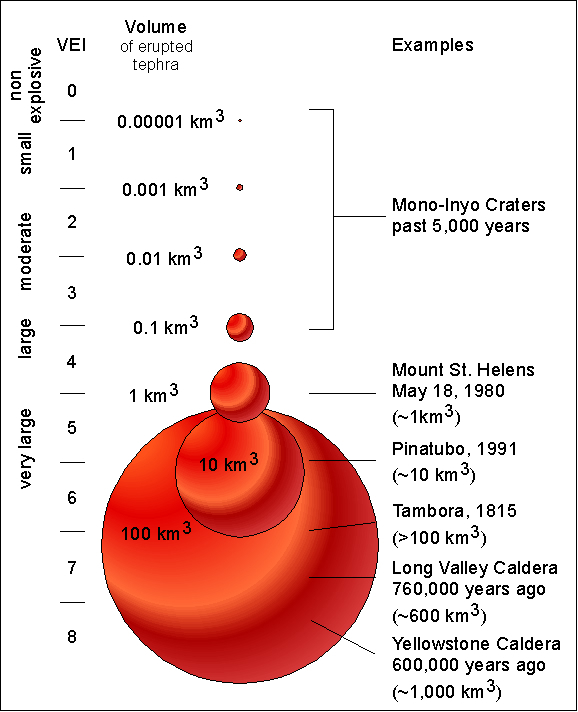 Thankfully the monstrous Bronze Age eruption shouldn't occur again for another several thousand years but smaller eruptions occur with some regularity and there are plenty of other volcanoes around the world (Krakatoa, etc.) to keep a wary eye on. Archaeology's Bronze Age Aegean "Black Hole of Unknowns"
The trail of evidence that brought me to the full realization of volcanology's black hole of unknowns was based on my enduring interest in the great Bronze Age eruption of Santorini (Thera) and its possible relationship to the downfall of Minoan civilization. 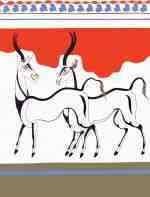 In time I came to see that the Minoan's slide into extinction was inextricably tied to the archaeological phenomenon known as the Late Minoan IB Destruction Horizon when the widespread practice of Linear A writing essentially inexplicably ceased. The archaeological evidence seems to indicate a blanket of very high temperature fire had swept across central and eastern Crete. This is exactly the effects one would expect from a titanic volcanic steam bloom. This irrefutable curiosity has remained completely unexplained by science since it was first recognized as a phenomenon. There are archaeologists that have spent their entire careers searching for the answer to this inscrutable mystery while throughout this period this topic has been so far under the volcanologist's radar that they have, until the last year or two, never even considered it may have a volcanic cause. Over the years since Walter Friedrich's 2006 publication dating the Santorini eruption to about 1613 BC from olive tree branches discovered by Tom Pfieffer I've watched the contentious struggle between supporters of the "high" vs. "low" absolute chronologies with great interest. At the time of Malcolm Wiener's 2009 critique of the prior radiocarbon findings of Friedrich, Manning, etc. I thought he made some excellent points regarding the uptake of inorganic carbon (reservoir effect) in plant roots on Santorini, atmospheric variations, indistinct olive tree growth rings, etc. and that, if true in the specific case of the Santorini eruption, Friedrich's dating would soon be refuted with credible, confirmable scientific evidence. To date I know of no "non-ideological" study that has developed any new evidence that invalidates Friedrich, et al. 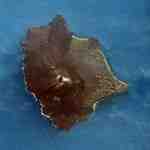 or offers a superior presentation for a more correct dating of the eruption. What most disappoints me is that I assumed that Wiener would, in fairness as a scientist, apply his powerful intellect to produce within a reasonable time a publication that detailed the obvious probability of accumulated, induced error in attempting to derive a fairly precise absolute chronology from the myriad of relative chronologies based on site by site excavations of expressions of material culture. Dating excavated artifacts that have been buried for three or four thousand years is reasonable enough on a very broad macro scale but when you attempt to zoom in much closer on the year to year, site by site level the probability of error appears everywhere. Shards of pottery that are removed from strata don't have an accurate time stamp attached to them that tells the archaeologist exactly when they crashed to the floor, how long they were in use, when or where the first instance of their typology appeared, how long it took for the typology to spread regionally, etc. despite the ill considered assumptions of certainty by some. The assumption of the temporal uniformity of the distribution of a given typology of pottery across any defined region is a useful approximation only. On a year to year, site by site basis any typology's radiation outward in time and space from its first instance of creation is unknown and can only be reasonably guessed at. After reading "The olive-branch dating of the Santorini eruption" by Paolo Cherubini, et al., Antiquity 88 (2014): 267-291, it seemed to me to be a startlingly weak "cherry-picking" rationalization of a "true believer" trying to defend a long cherished ideology under attack. The response to Cherubini by Sturt Manning, et al. in "Dating the Thera (Santorini) eruption: archaeological and scientific evidence supporting a high chronology", Antiquity 88 (2014): 1164-1179, was particularly devastating. Science is based on logical constructions of confirmable evidence not psychologically preferred systems of belief (ideologies). The net effect of this is that radiocarbon dating has only improved with the criticisms of Malcolm Wiener, etc. and is now stronger than ever. The work of Friedrich et al. has not been invalidated except in the minds of "believers". The final straw for me came with the 2014 publication of "Dating the End of the Greek Bronze Age: A Robust Radiocarbon-Based Chronology from Assiros Toumba" by Kenneth Wardle, Thomas Higham and Bernd Kromer. The Friedrich and Wardle papers serve to confirm each other at two different times in the 2nd Millennium BC as highly objective studies derived through stringently meticulous, rigorous methodologies in their finding that the traditional Bronze Age date ranges used for decades by the archaeologists are off by about 100 years, having occurred earlier. 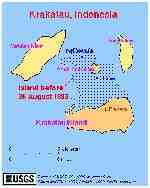 Using the "high" chronology as a sound reference one can then shift Crete's Late Minoan IB destruction horizon back in time from its traditional moorings about 100 years to where it aligns quite nicely with Friedrich's 1613 BC date for the great Santorini eruption. This is important because the Late Minoan IB destruction horizon immediately preceded the fall of Neopalatial Crete and denotes the beginning of the end of Minoan civilization. Given the clear interwoven nature of the archaeological evidence linking Minoan Crete to the other cultures in the eastern Mediterranean if the end of Neopalatial Crete is moved back in time so must the absolute chronologies of Egypt, the Levant, Cyprus, etc. So here we have the massive Minoan eruption of Thera with its black hole of unknowns regarding titanic 2000°F super-heated dry steam blasts and we have the archaeological black hole of unknowns of the LM IB Destruction Horizon occurring within essentially the same time period. Is the chronological synchronicity of these two scientific "black hole" phenomena just a simple coincidence unworthy of meaningful scrutiny or is it such a suspicious curiosity that we should seriously investigate it. I think the latter. Literally no one has offered anything else to viably explain this and the only possible volcanic cause left with any validity at all is a titanic steam blast(s) from the colossal Minoan eruption of Santorini. If the mysteries surrounding the Minoan downfall on Crete are ever to be finally solved the archaeologists, sedimentologists, etc. must proactively take this matter into their own hands and seek out the evidence for themselves. 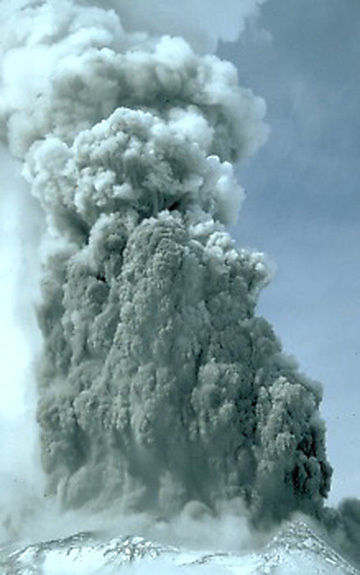 All volcanic long-runout steam explosions contain significant quantities of suspended particles that uniquely link the blasts to their source. Any cave on Crete (there are many) with an opening(s) generally oriented toward the volcano would have supersonically ingested these particles from a surface blast over the water and land. Some of these particles could have penetrated quite deeply into a cave's interior accompanied by a pulse of very high temperature. This would eliminate any possible contamination from conventional atmospheric volcanic ash fall and at the same time remove the particles from the normal above-ground erosional effects. If one of these volcanic steam blooms did strike Crete and cause the LM IB destruction horizon these particles should still be detectable and awaiting their discovery. There may be other better ways of detecting these particles but so far no one has offered any criticism of the cave scenario. If steam blast particles from Santorini are indisputably detected on Crete it would doubtlessly prove the existence of this phenomenon and be a major advance for volcanology. Also, it would definitively synchronize the Santorini eruption of about 1613 BC with Crete's Late Minoan IB destruction event in terms of absolute chronology and be the death knell of the traditional "low" chronology. With this alignment we could then begin to discuss the Bronze Age as a collection of truly dateable events and not just in the vague terms of relative chronologies based on expressions of material culture - pottery typology, etc. This would go a long way toward reducing the current pervasive blight of unfounded mythologies used by so many to describe the "true" character of this period. Any volcanic steam bloom(s) from Santorini would not have been able to cause an island-wide destruction of Crete. 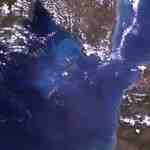 The northern coastline of Crete stretches some 150 miles from west to east. The volcano is only about 70 miles almost due north of Malia on the coast. Given the orientation of Santorini's volcanic vent only areas of central and eastern Crete would have most probably felt the effects of these dry steam blasts. This is reflected by the sites described by the archaeologists as having been engulfed in high-temperature fire(s) during the LM IB destruction. These fiery blooms have very definite destruction boundaries where in one area everything would be consumed in flames while a few hundred meters away nothing would be touched. Urban areas like Kommos which is more to the west on the southern coast weren't affected which is confirmed by the archaeological evidence. 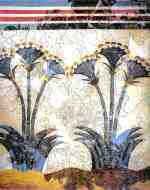 The people at Kommos (and the other sites in western Crete) and their material culture would have continued on to evolve and be affected by future events like the very probable massive internal disruption that could have ignited possible additional destructions caused by conflicts between groups of surviving Minoans, and the coming Mycenaean invasion. 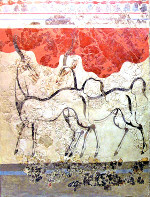 If this hypothesis is true much of the LM IB material found in central and eastern Crete is actually from a moment(s) in time that occurred within the three or four day duration of the great Bronze Age eruption while the representation of material culture at Akrotiri on Santorini (Thera) is obscured by the fact that there was a comprehensive general evacuation of the island as the volcano finally left no doubt something hugely calamitous was coming. 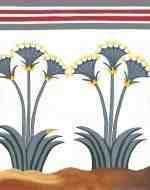 "The absence of any bodies and the dearth of metal artifacts or other portable objects of obvious material value in the ruins of Akrotiri clearly indicate that the inhabitants had ample warning of the imminence of the volcanic eruption which buried the island so deeply in ash and other volcanic debris that it became uninhabitable for as much as a century or two." (Rutter, 2015). If any fine LM IB vases were imported from Crete to Akrotiri during the reconstruction period that followed the large earthquake but preceded the eruption they most probably would have been removed by their owners during the evacuation. 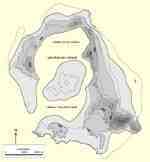 Antiquity Debate: Cherubini, Friedrich, Bietak, et al., 2014, Bronze Age catastrophe and modern controversy: dating the Santorini eruption, Antiquity 88 (2014): 267-291. Baird, 2007, The Minoan Catastrophe: The Theran Pyroclastic Surge Theory. Friedrich, et al., 2006, Santorini Eruption Radiocarbon Dated to 1627-1600 B.C., Science, Vol 312. 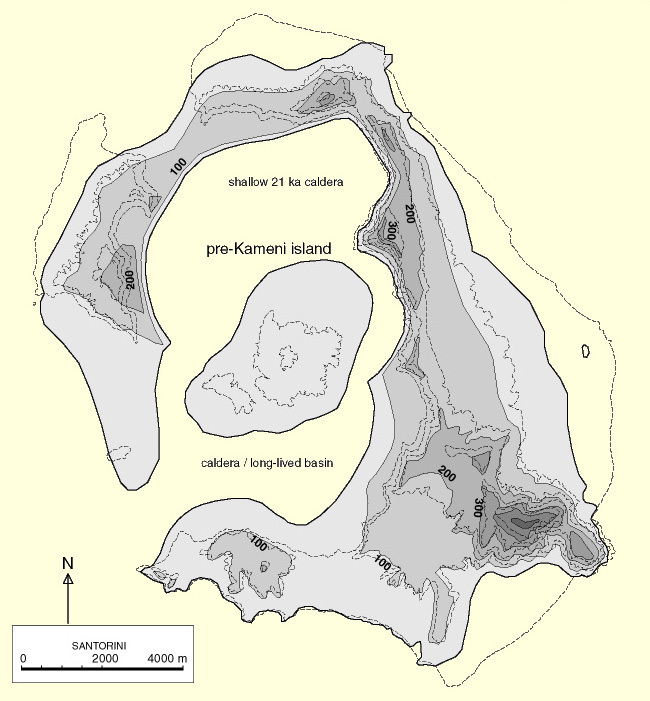 Jenkins, et al., 2015, Rapid emergency hazard assessment Santorini Volcano, Journal of Applied Volcanology (2015) 4:16. Manning, Kromer, 2012, Considerations of Radiocarbon Offsets in the East Mediterranean, and Considering a Case for the Latest (Most Recent) Likely Date for the Santorini Eruption, Radiocarbon, Vol 54, Nr 3-4, 2012, p 449-474. Manning, et al., 2014, Dating the Thera (Santorini) eruption: archaeological and scientific evidence supporting a high chronology, Antiquity 88 (2014): 1164-1179. Reimer, et al., 2013, IntCal13 and Marine13 RadioCarbon Age Calibration Curves 0-50,000 Years Cal BP, Radiocarbon, Vol 55, Nr 4, 2013, p 1869-1887. Rutter, Vallianou, et al., 2011, Late Minoan IB at Kommos, LM IB pottery relative chronology and regional differences, INSTAP Workshop 2007, Danish Institute of Athens, Vol. 11, 1. Rutter, et al., 2015, Aegean Prehistoric Archaeology, Dartmouth College, The Foundation of the Hellenic World. Wardle, Higham, Kromer, 2014, Dating the End of the Greek Bronze Age: A Robust Radiocarbon-Based Chronology from Assiros Toumba, PLoS ONE 9(9): e106672. doi:10.1371/journal.pone.0106672. Wardle, Higham, Kromer, 2014, Dating the End of the Greek Bronze Age: A Robust Radiocarbon-Based Chronology from Assiros Toumba Supplement. Wiener, Friedrich, Manning, 2009, The Thera Debate. Wiener, 2012, Problems in the Measurement, Calibration, Analysis, and Communication of Radiocarbon Dates (with Special Reference to the Prehistory of the Aegean World), Radiocarbon, Vol 54, Nr 3-4, 2012, p 423-434. Wiener, 2014, Radiocarbon dating of the Theran eruption, Open Journal of Archaeometry 2014; volume 2:5265.